Local favorite college football team, the University of Southern California Trojans, held on to a strong lead during an Oct. 7 game against the Oregon State Beavers for a 38-10 win. 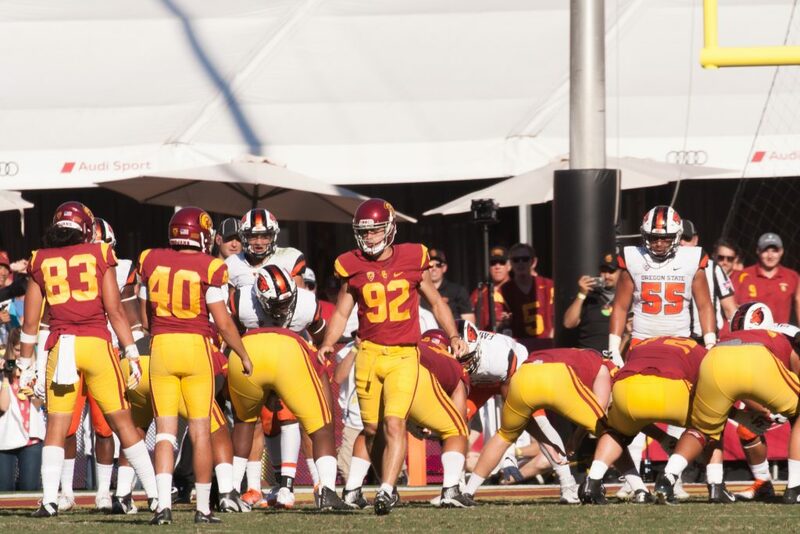 The USC team includes Newport Beach native, Chase McGrath, as kicker. 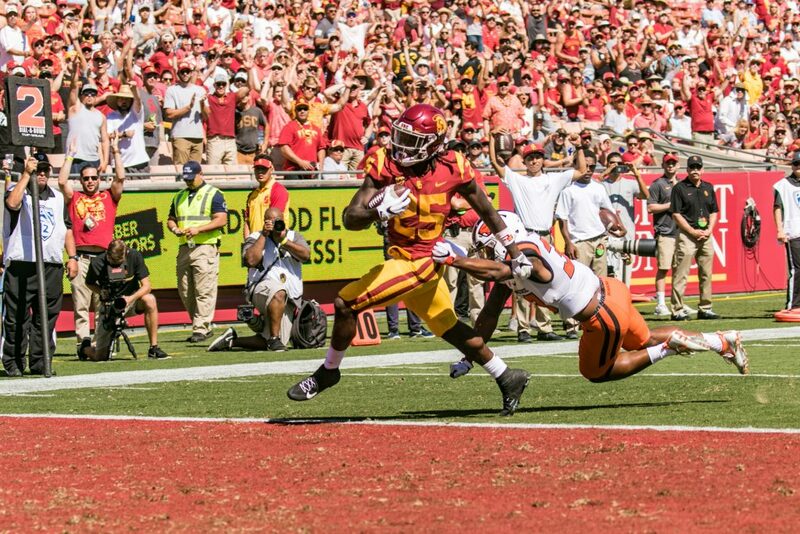 Tailback Ronald Jones runs in for a touchdown during the University of Southern California Oct. 7 game against Oregon State. USC lines up against Oregon State on Oct. 7. 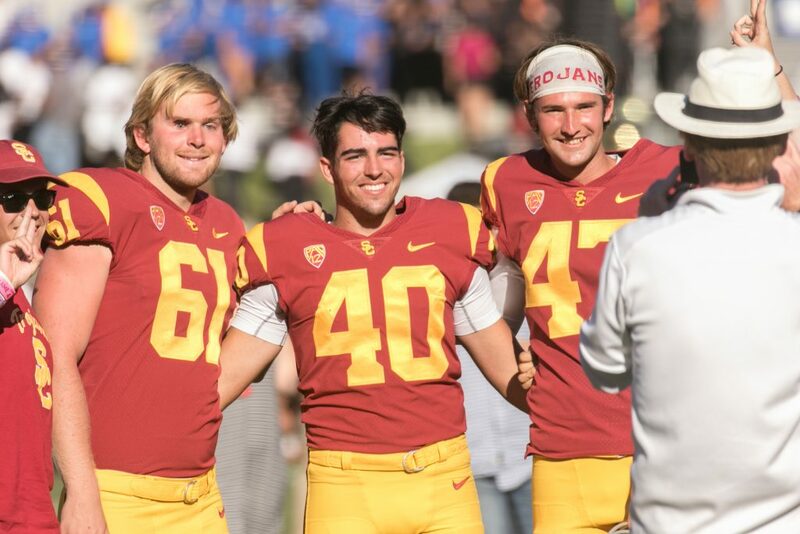 Blind USC long snapper Jake Olson (left), Newport Beach native and USC kicker Chase McGrath (center) and place kicker Wyatt Schmidt pose for a photo after the game.